The only upgrade available for your Alfa Romeo Stelvio that comes with a 30 Day Money Back Guarantee (Besides Our MAXPower ECM)! 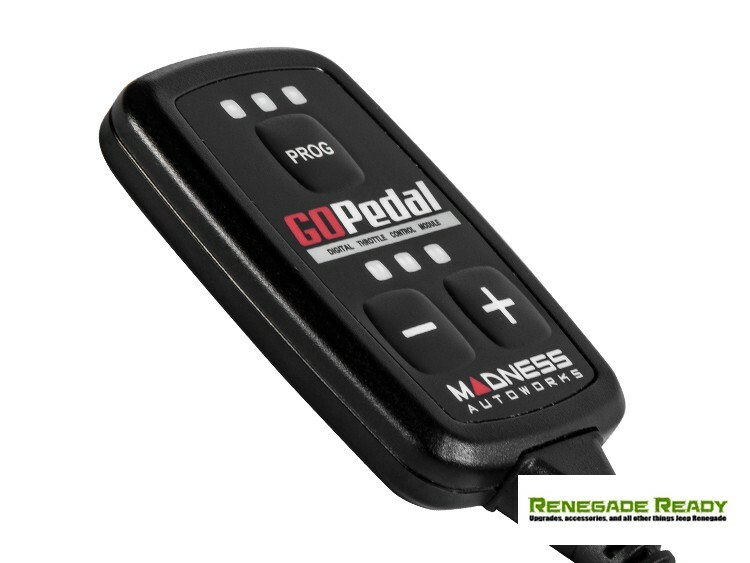 We are so confident that you will love our MADNESS GOPedal for your Giulia that we are giving you a 30 Day Money Back Guarantee. Try it and if you don't love it send it back for a full refund! 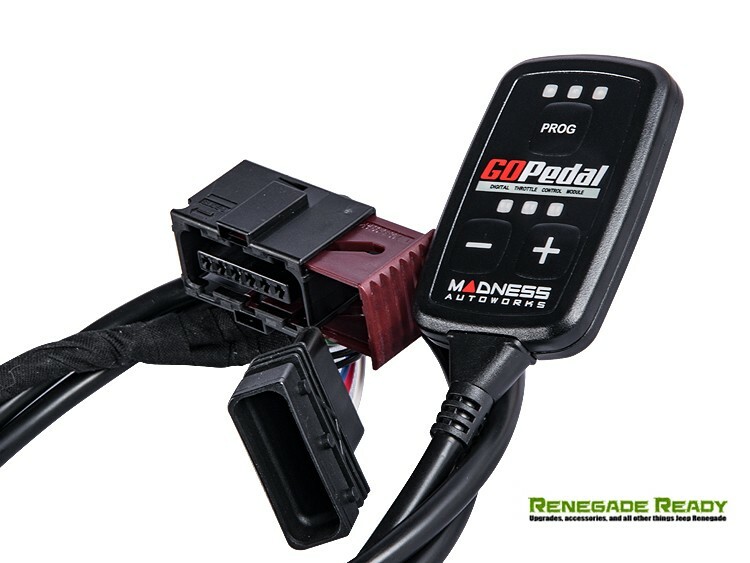 The new GOPedal from MADNESS Autoworks delivers! 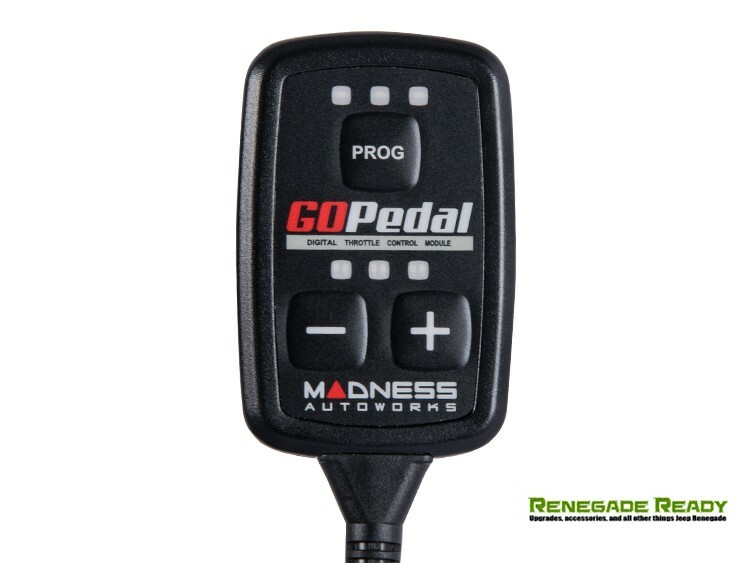 Designed to reduce initial lag, the GOPedal connects to your stock pedal assembly and allows you to choose between settings for different driving styles. 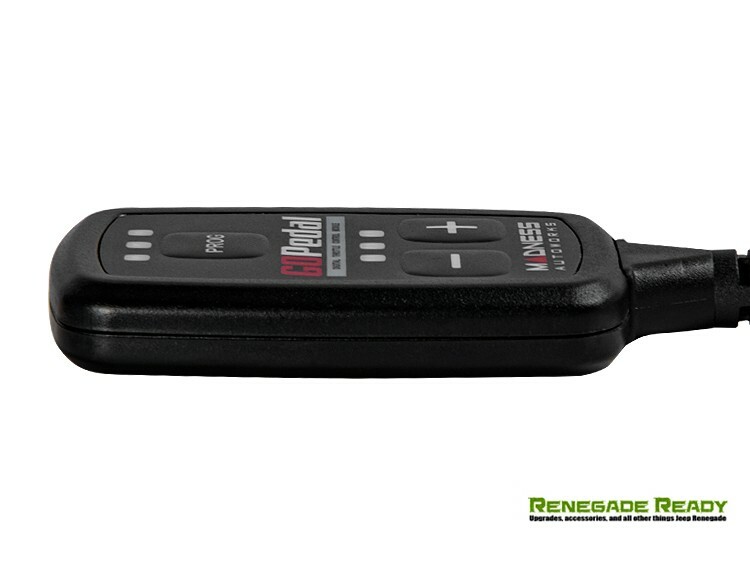 It advances your throttle’s timing to give you a more direct response, and this throttle control signal amplifier is installed in minutes with basic tools. It is not a permanent modification and can be returned to stock just as easily. 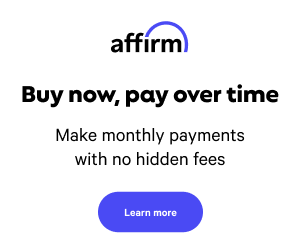 It is a great way to get that race car feeling without breaking the bank. The device has been designed to make your car more responsive. We have been personally involved in testing, developing and programing this device on our own cars and can inform you that it makes a significant difference in response. This module has been designed to be fully programmable by you, the user! You can choose the response settings and the sensitivity to get just the right type of performance out of your Stelvio. Everything is done through one small controller (pictured) that can be placed discretely under or on your dash. Control everything from the remote with a press of a button! Select Eco Mode - This mode is perfect for those that want to boost fuel economy. You still get improved torque while you are in the lower RPM range, but save fuel consumption at the same time. 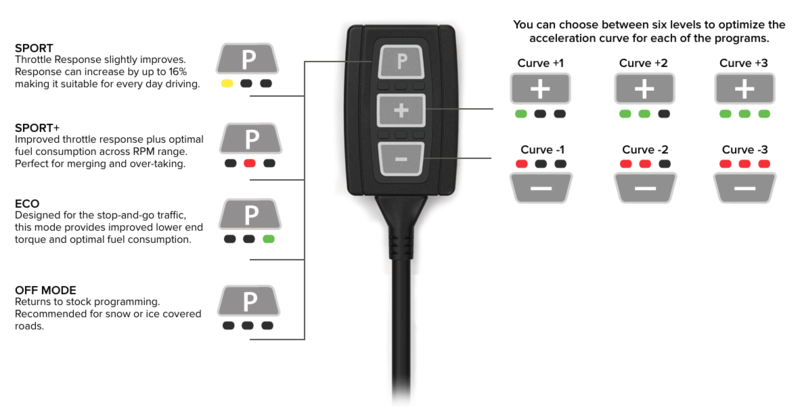 Select Sport Mode - When you select the Sport Mode your pedal response is improved by 10-15%. This is the most common option for users that want better throttle response and at the same time still have smooth acceleration. Select Race (Sport +) Mode - This is our personal favorite! The Race Mode is recommended for those that like to drive their car aggressively and maximize the cars response. This is perfect for those that like to take the car to the track and/or simply getting the most throttle response possible. In addition, you will also be able to adjust the sensitivity of each setting to get it just right for you! The MADNESS GOPedal installs in minutes! NOTE: Installation process is identical between Giulia and Stelvio models! We recommend trying each setting and seeing which is right for you. The nice thing about this module is you, not the manufacturer can decide which is the right setting that will suit your driving style and it is all done in seconds while you are sitting in your seat. We back this unit up with a Full Two Year Replacement Warranty! For our European Customers - this unit has been TUV Approved! 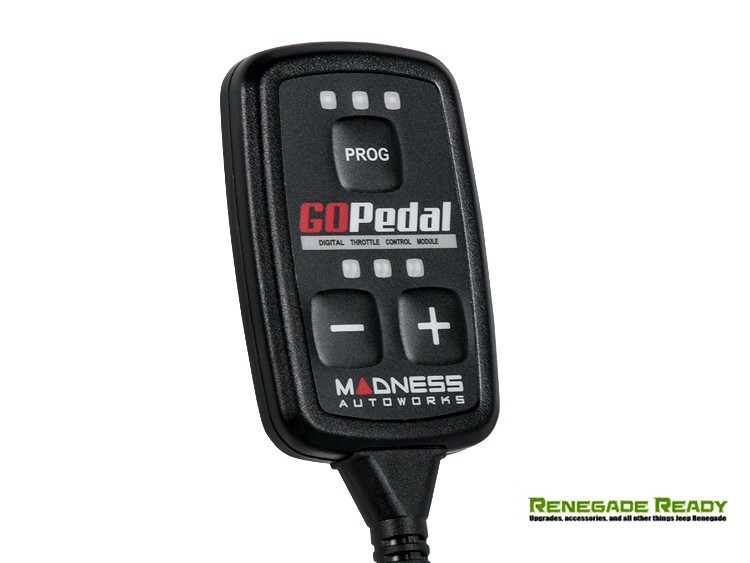 Do not use the MADNESS GOPedal while operating the vehicle. Any adjustments should be done while the vehicle is parked with the transmission in neutral (manual) or park (automatic) with your foot completely off the throttle pedal. 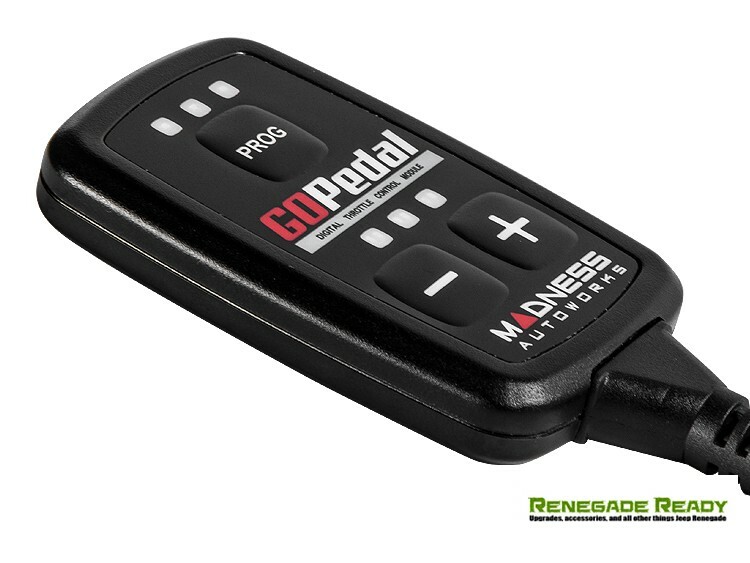 Using a handheld device like your smart phone + our MADNESS GOPedal and doing live adjustments to the throttle pedal settings while driving is a dangerous practice and can put you, your passengers and others at risk. It can also trigger a temporary error code (resolvable with an ignition cycle). Please enjoy your new upgrade, but use it responsibly.